In my previous blog on HDR and enhancing the effect of 4K, we had discussed the traits of High Dynamic Range being designed to accommodate a greater range of contrast in a video content. HDR allows images with high contrast to be displayed with much greater clarity and more details in the shadows and highlights. With HDR enabled on a display screen, the deepest darks meet the most brilliant, brightest whites possible to create a dramatic visual perception. Viewers no longer have to strain their eyes to see what’s going on in those darker movie scenes because HDR helps imagery to pop right off of the screen to create an immersive viewing experience. For a TV to qualify as an Ultra HD Premium TV, it must pass performance metrics related to resolution, dynamic range (HDR), and colour gamut, etc. All products which bear the Ultra HD Premium logo are certified so only if they pass stringent tests at independent authorised testing centres. Advances in resolution, brightness, contrast, colour and audio enable certified displays and content to replicate the richness of life like visual and audio outputs and allow viewers to experience content the way its creator(s) intended to, in a more accurate and fulfilling manner. It is extremely difficult for conventional LCD panels to accurately show HDR content mainly because images get washed out in high and low brightness areas; and accurate colour reproduction, especially in dark areas is hard to achieve. But that’s just for TVs. How about we the same be tried on mobile displays! What is Mobile HDR Premium? In February 2017, the Ultra High Definition Alliance (UHDA) announced a new standard for mobile devices, called Mobile HDR Premium. 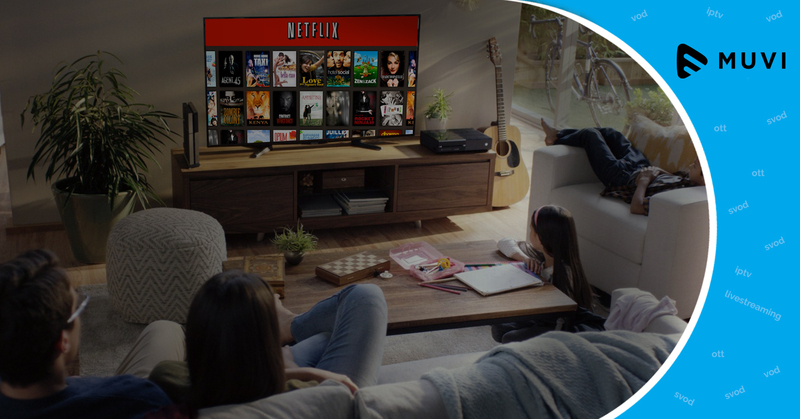 UHDA was formed by movie producers and technology companies looking to establish a standard for next-gen entertainment and is responsible for Ultra HD Premium badging that it applies to televisions. Similarly for mobile devices, HDR Premium badging means that the device adheres to a particular standard too, designed to ensure that viewers get a great experience from mobile HDR entertainment. While HDR10 and Dolby Vision are technical standards, Mobile HDR Premium is mostly a certification standard. Mobile HDR Premium is a subset of the UHDA’s Ultra HD Premium certification for TVs. On the other hand, Dolby Vision is a licensed technology, and HDR10 is an open-source specification. Mobile HDR Premium is most comparable to HDR10, but with slightly lesser technical criteria. The specifications of mobile HDR Premium mandates a resolution of 60 pixels per degree, a dynamic range from 0.0005 nits to 550 nits, a colour range with 90 % of P3 colour gamut, and a bit depth of 10. These standards apply to smartphones, tablets, and laptop computers, meaning that the Mobile HDR Premium badging could be applied to all those devices which offer HDR content, but not necessarily at 4K resolution. There have been a couple of big announcements for mobile HDR support in 2017 and it is now being confirmed on Apple iPhone X, Apple iPhone 8, Apple iPhone 8 Plus, Apple iPad Pro (2nd-gen), LG G6, LG V30, Samsung Galaxy Note 8, Samsung Galaxy Tab S3, Samsung Galaxy Book, Sony Xperia XZ Premium, and Sony Xperia XZ1. More than the mobile device the true effect of HDR depends on the content. We’ve been fortunate enough to see demos of HDR working on Samsung devices, as well as the Sony XZ Premium, and now there is live and on-demand content from online streaming services in HDR on some devices. HDR content on TV has given viewers an idea of what to expect on the mobile device – richer color, better contrast, brighter highlights; they want HDR to make everything look better. However, the size of the display means that the effect isn’t as profound. While HDR looks better than non-HDR on mobile devices, we don’t get that completely-blown “wow” effect that we get on a huge TV. Besides HDR, Dolby Vision also works on mobile. On mobile devices, Dolby Vision is a software solution, rather than a hardware-based specification. The LG G6 was the first mobile device to support Dolby Vision. You can’t turn Dolby Vision off or on depending on the content delivered by video streaming services, but they can, however, switch the HDR option. On a mobile device, viewers can use content metadata to control the backlight and deliver the best colour and great contrast. Streaming giant Netflix has markers on titles to indicate content that is in HDR. For example, while streaming on the iPhone X, Netflix will show you “Stranger Things” in Dolby Vision. Streaming on mobile devices is largely dependent on variable bit rate services, mostly because viewers stream on the go. HDR enabled content at higher resolution is bandwidth intensive and therefore, on-the-go streaming can be consistent only when bitrate is managed well. This’s one thing that has helped Netflix and Amazon Video offer great services seamlessly. Using variable bitrate management, the data stream can be scaled, so on a slow connection viewers get fewer data and watch at a lower resolution – without the video stopping or buffering. This also allows almost instant starting of videos too. Technically, HDR and resolution aren’t intrinsically linked, so viewers can experience that HDR effect even if they are not streaming in the highest quality. But one rule of thumb that every end user must follow is that they must not be switching from HDR to non-HDR because the colours will be changing and that doesn’t make for a good viewing experience. Mobile devices attract another factor while viewing – auto-dimming of the display. This is something of a potential problem for HDR on mobile devices. The living room TV probably doesn’t change its brightness because its set to your preference and it stays put. However, mobile devices use auto-brightness to change the display to suit the environment – it’s darker in dark conditions, brighter in bright conditions. This has an impact on how HDR content is displayed. The industry is on the way to a point when one de facto HDR standard will be established for mobile devices. However, currently, HDR, Dolby Vision and HDR10 are being used by flagship devices. Mobile HDR seems poised to become the next major display trend after curved displays.